When I talk about my favorite Business products, I usually mention Qatar Airways or SriLankan Airlines. Their premium products are outstanding, both in terms of service and seat. 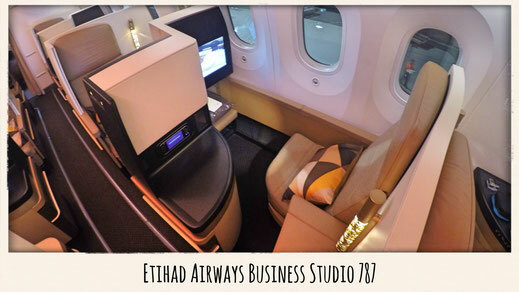 However, Etihad's Business Class product on the 787 Dreamliner is truly a benchmark to other carriers. 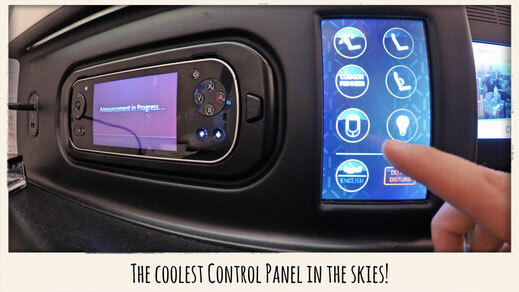 I was very excited to test their product, which is one of the most luxurious in the sky. 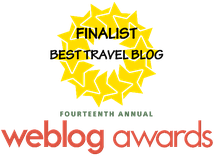 Keep on reading for a comprehensive review... I started my trip at the Jumeirah Emirates Towers Hotel, great review, amazing location, check it out! 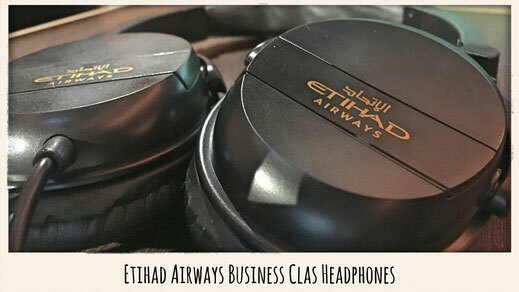 If you don't want to read the review (I know, too many words) you can just lean back and enjoy my video report which gives you a detailed inside of what it's like to travel on Etihad Business Class and experience their lounge. 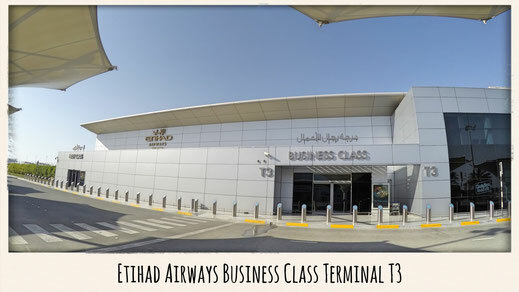 Etihad Airways has an especially dedicated Terminal for Business Class travellers. 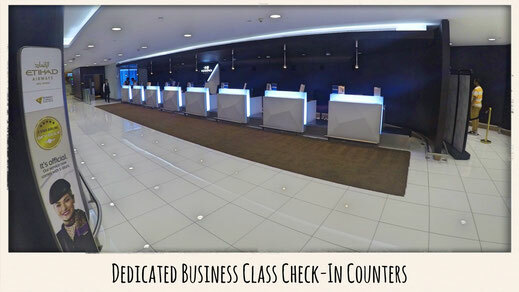 The benefit of those terminals is almost no waiting lines, a seperate immigration and security checks. It saves a lot of time and nerves. It means you can literally make your way to your gate in less than 10 minutes from the moment you receive your boarding pass. Those counters only get really busy late night when most flights are departing. Don't get me wrong when I say the lounge was rather average. 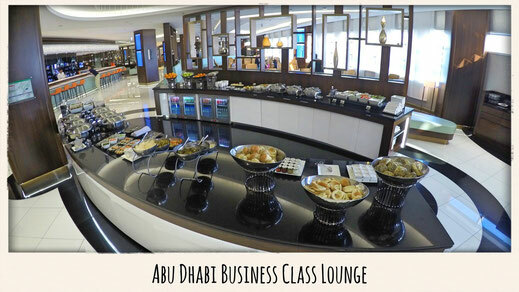 But Etihad was awarded as a 5-Star status and if I compare the Abu Dhabi Business Lounge with other Premium carriers such as Cathay Pacific, Qatar Airways or Hainan Airlines, the product was very simple. The lounge provides plenty of seating, a buffet, a bar with plenty of alcohol, business centre, showers and a spa and heaps of coffee machines to keep your caffeine levels high. 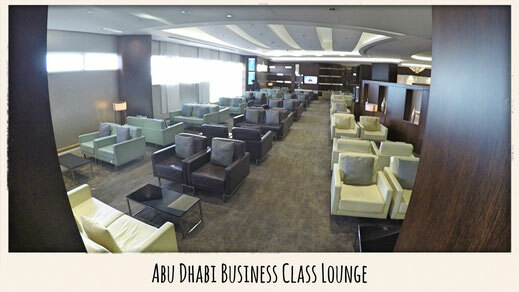 Tipp: If you are travelling Economy Class, you can purchase lounge access for a cheap price on Lounge Buddy, great app! Note: The new Terminal is currently under construction and will feature an amazing lounge from what I heard! The seat is very spacious, extremely comfortable and very easy to operate. 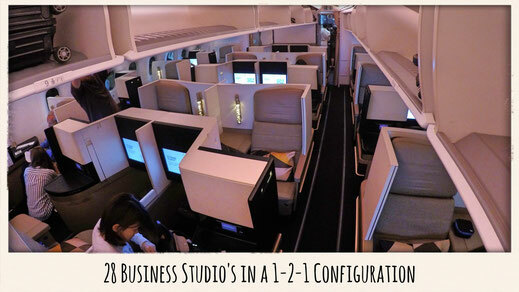 I'd rather call it a studio since it offers a lot of privacy and is exclusively available on the A380 and 787. It comes with some cool extra perks, such as adjusting the firmness of the seat, great lightning and extra storage. The cabin has 28 seats in total in a 1-2-1 configuration. The amenity kit was basic and I must point out that they offer the worst earplugs I have ever came across. It's impossible to use them, good luck! Check out Etihad 787 Dreamliner Seat map. One of the best seats within the industry! Literally all the storage space is available to your left hand side. On the window-side in my case, was a counter and storage compartment. The compartment could be opened to reveal a large storage area, where also the amenity kit was located. You can store other things there as well. I left my phone and camera on the console, which offers plenty of room too. Spacious, Comfortable with a lot of Privacy. The table was another well-conceived surprise. It was very big, easy to stow without needing to study the instructions. Trust me, I have had some weird encounters with those tray tables in the past years. Beneath the seat is where the power outlet was located. Once again, due to the spacious seat, it was very easy to reach without practicing any yoga. Easy Seat Controls, Great Sleeping experience. 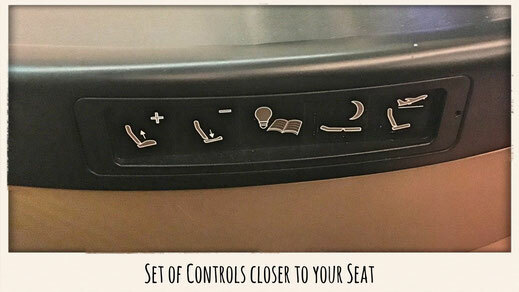 The seat would easily turn into a flat bed by operating the controls at the edge of the console to my left. I could even adjust the firmness of my seat for an improved sleeping experience. 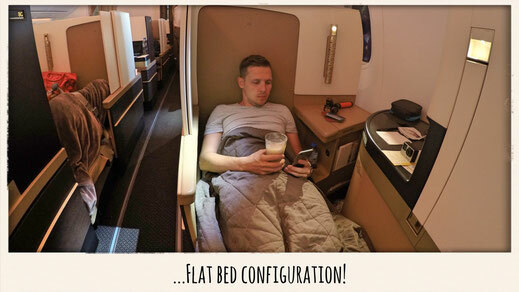 I slept pretty well, first because of the advanced air conditioning system on those 787 Dreamliners, secondly because the pillow and the blanket are of high quality. Spot on service by Food and Beverage Manger. The second I made myself comfortable in my seat the Food and Beverage Manager Santosh already arrived. He made my Etihad experience even better because he was extremely passionate about his job. He offered me a Champagne and an Orange juice before departure. After take off he would talk me through the menu and also pointed out his recommendations. 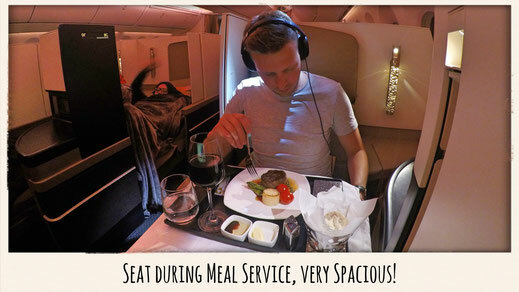 Etihad has no set dinner or breakfast times, you can literally eat whenever you feel like it. 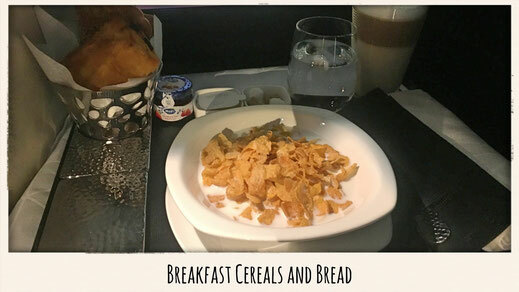 We ended up working out my schedule, dinner as soon as we reach cruising altitude, 4 hours of sleep, wake up call 2 hours prior landing in Beijing for breakfast service. This is how a busy man travels these days. The food was fresh, full of flavour and well presented. 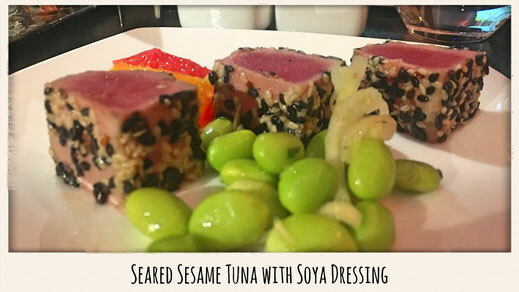 As a starter Santosh pointed out the Seared Tuna. The dish comes with fennel, citrus fruit and herb and soya dressing. Alternatively I could have picked the Arabic mezze or a cauliflower soup. The tuna was very tasty and went well with a nice Chardonnay. 4 Options were offered for the main course. My first choice is always fish and if they don't have, then I go for beef. 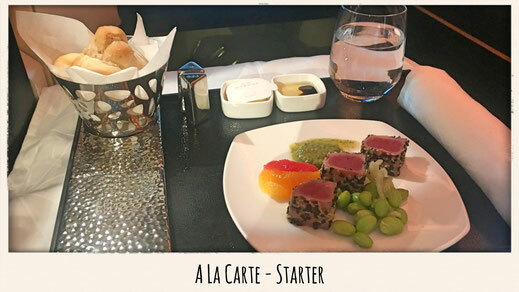 I had some really good steak on my Hainan Airlines flight to Calgary last year. But I reckon this tenderloin was even a little better. 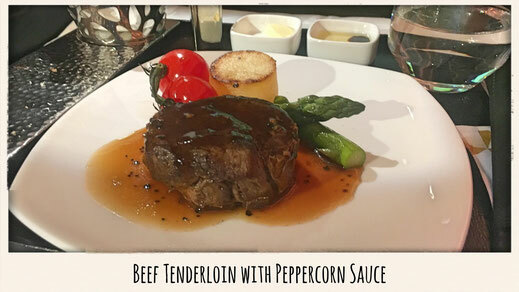 It was served with a side of asparagus, tomatoes and fondant potatoes in peppercorn sauce. The presentation was just spot on! The breakfast I had was very light. I decided to go with the cereals and a Coffee Latte. 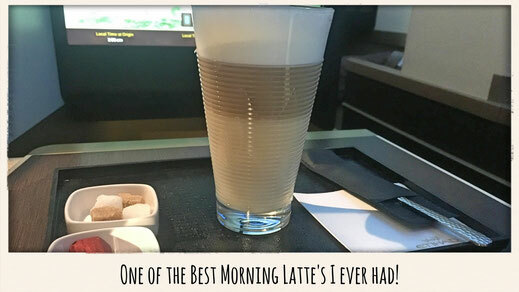 Just to point out the great service, the Latte was served and right after I went to the bathroom to brush my teeth, after 3-4 minutes I returned to my seat and Santosh said he would like to serve me a new Latte because he doesn't think that it will still be hot enough and enjoyable. I didn't really care but he insisted and served a new Latte which I call real dedication. 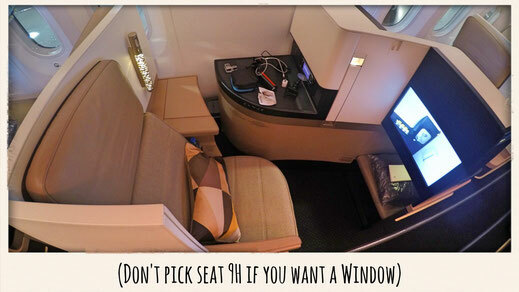 The service with Etihad has always been great on my flights. On my flight from Beijing to Abu Dhabi, Osama was looking after me and did an outstanding job. Very knowledgable and dedicated. This time I was very lucky again with Santosh who was a true expert. 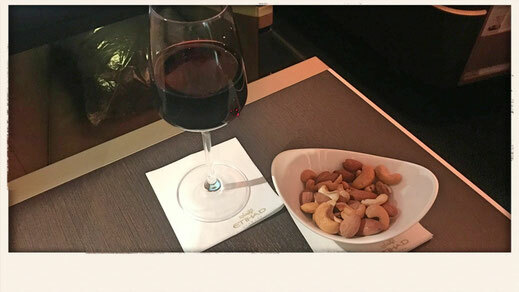 He was very easy to deal with and he would make sure that I enjoy my flight. The majority of the flight I was either eating or sleeping. During the dinner service I decided to watch a movie though. I browsed a bit through the entertainment option. The air show was informative. Then I checked out the films and TV shows. 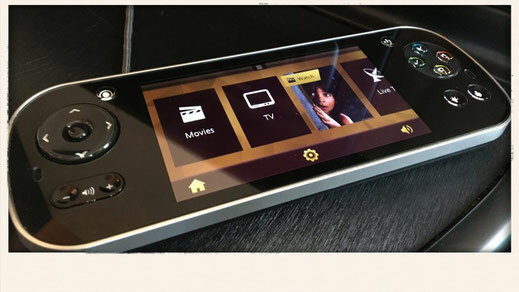 Etihad’s entertainment selection is top notch, as they have tons of movies and TV shows, covering Western, Indian and Chinese options too. Emirates’ is still a bit better, but other than that, Etihad is among the Top 3. Only the headphones were a bit of a let down. Average sound quality and I didn't really think they are noise cancelling. The Etihad Wifi - Super fast! On-board Internet is like a box of chocolate, you never know what you get. 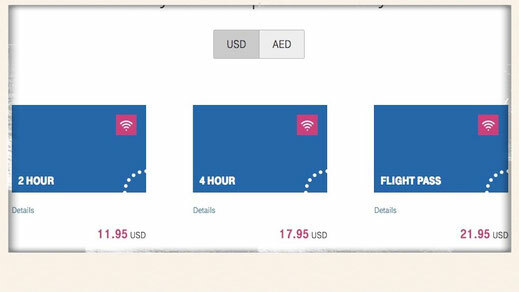 Emirates WiFi must be the slowest out there and browsing the web is literally a pain. The most impressive internet must have been by far on Cathay Pacific's brand new Airbus A350 which even allowed me to watch YouTube Videos in 4K! 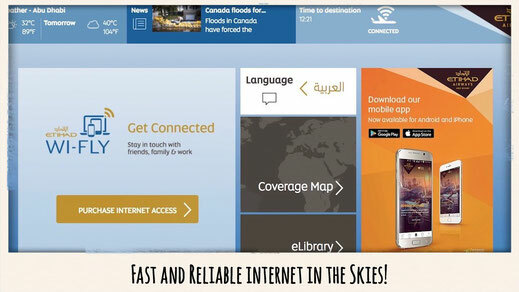 Etihad's WiFi is just as good and comes for a reasonable price. 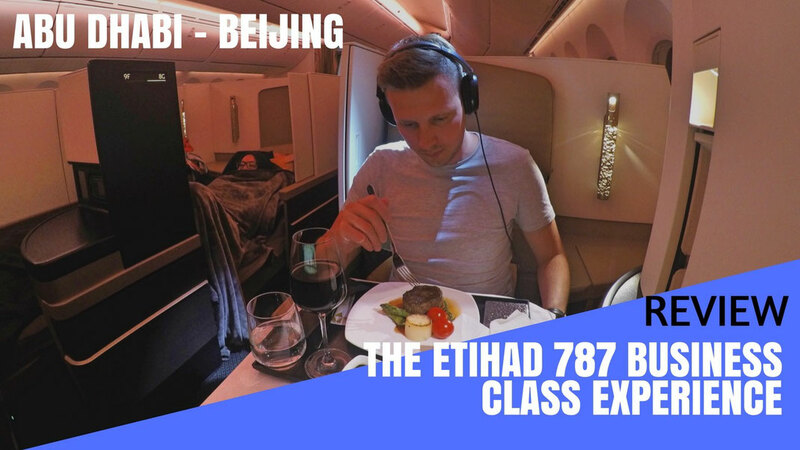 Etihad Airways 787 Dreamliner is a world class product with probably one of the best Business Class seats in the entire industry. It offers extreme comfort and privacy as well as plenty of room. The overall package was extremely satisfying including the food and the service. 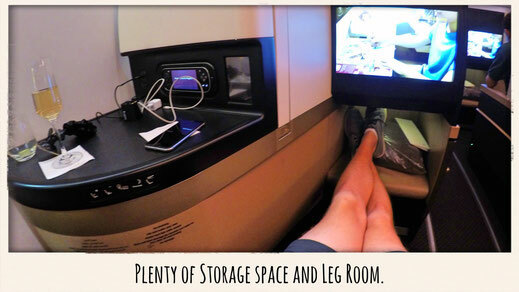 A huge improvement in comparison to the older seats being used on the Airbus A330. 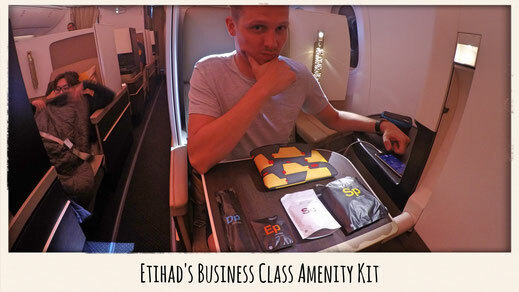 I would fly Etihad new Business Class any time and perhaps even go out of my way to do so.